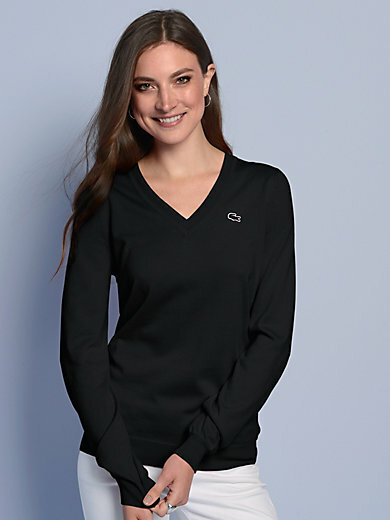 V-neck jumper by LACOSTE: sporty all-rounder. Finest ­cotton in figure-hugging style. Appliqué logo and ribbed cuffs. 100% cotton. Length approx. 26ins. The jumper is machine washable.